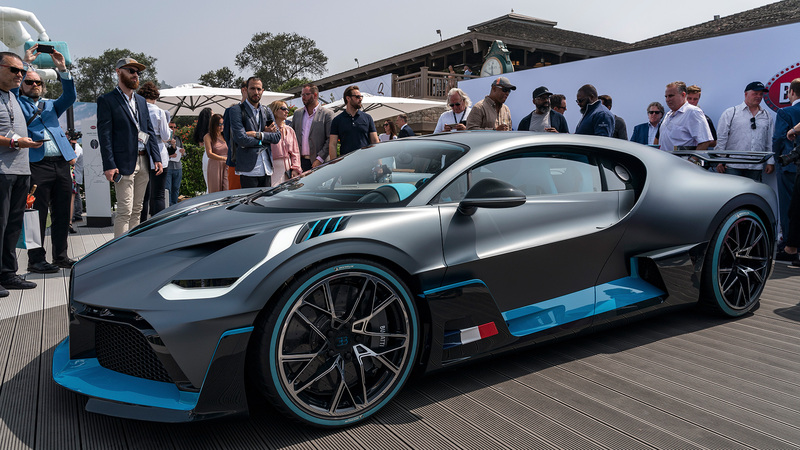 Last Friday, at the automotive bacchanal known as The Quail, Bugatti yanked an electric blue sheet off the latest addition to the high-end car company's latest supercar creation: the Divo, a $5.8 million, 236-mph speed machine designed to place an emphasis on handling and track-time fun over the top-speed shenanigans of the Chiron and Bugattis past. 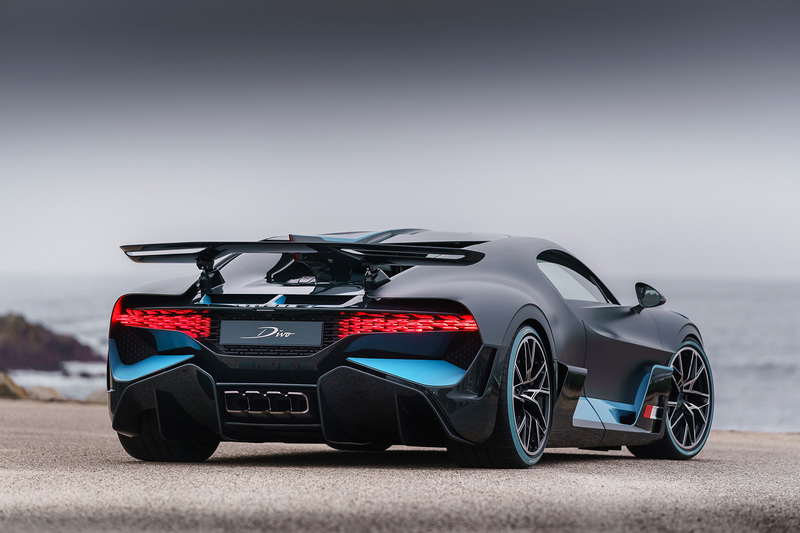 While it uses the same powertrain as the Chiron—let's face it, a 1,479-hp quad-turbo W-16 doesn't need a lot of fiddling with—the exterior has been altered from stem to stern, rendering the limited-run Divo as different in appearance from its under-the-skin twin as Schwarzenegger is from DeVito. Bugatti would love for you to consider this a return to form for the company, a throwback to the days when real-life F. Scott Fitzgerald characters would order up one-off coachbuilt bodies to cover their cars' French-made mechanicals. But it's also inspired by a much more recent series of limited-run vehicles: Lamborghini's decade-plus chain of rare cars built off production models. Most of which, of course, were created when current Bugatti CEO Stephan Winkelmann was running the Raging Bull. "[Winkelmann] is the pure and only reason" the Divo exists, design director Achim Anscheidt said at the car's California unveiling. The nattily-dressed German executive brought the idea of a coach-built limited run car directly from Lamborghini, Anscheidt said; indeed, it was one of the first mandates he issued after starting his reign in Molsheim at the beginning of 2018. Still, giving the Divo a distinctive look without compromising all the engineering that went into the basic platform wasn't easy. Finding a new front end was the most difficult part of the task, Anscheidt said, as the new fascia needed to be distinctly different from the Chiron, yet still clearly recognizable as a member of the same family. "You're not changing the face of a Bugatti like this," he said, punctuating the last word with a Thanos-like snap. Achim Anscheidt helping unveil the Divo. One of the most distinctive changes on said face are the new headlights, which are smaller and more angular than the wide bank of LEDs looking out from the Chiron's sockets. Their placement and size isn't just to give the Divo an angry gaze; according to Anscheidt, it was a function of adding the new air intakes atop the hood. 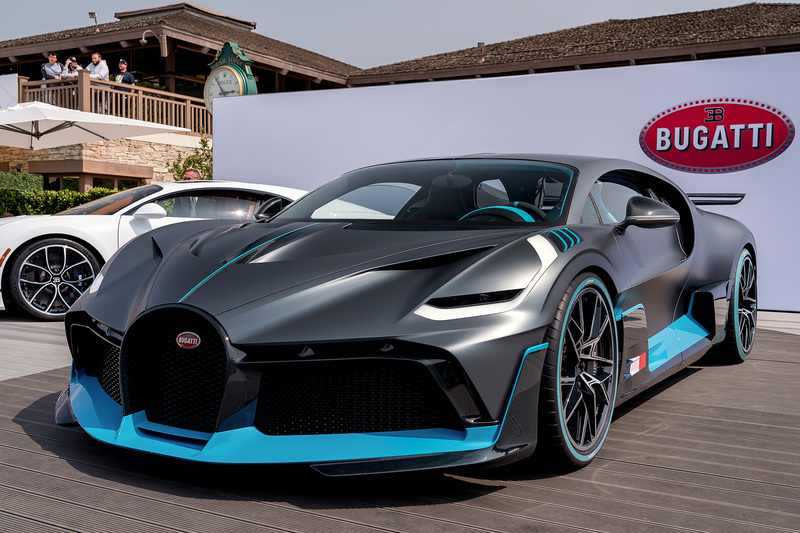 Those intakes are just one of the vast number of aerodynamic alterations Bugatti's designers and engineers made in order to help the new supercar develop more downforce and sharper handling. 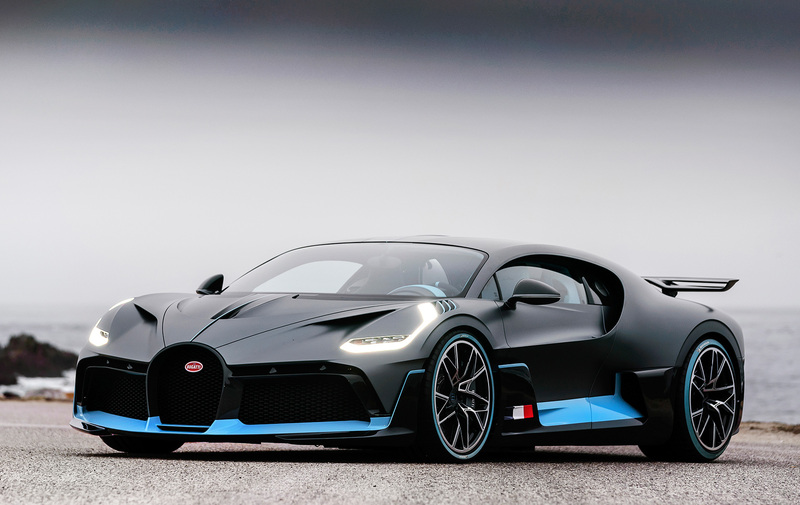 The resulting product makes 198 pounds more downforce than the "basic" Chiron, helping it stick to the ground at up to 1.6 lateral g—and in part explaining the lower top speed compared with the Chiron. Still, while the Divo's corner-carving blades have been sharpened, Anscheidt cautioned against looking at it as a McLaren Senna-fighting track toy. After all, it's only 77 pounds lighter than the roughly-4,400-pound car it's based on. Not that the people who buy this car care. Anscheidt said the car was shown privately to 68 potential customers in several locations around the planet—Los Angeles, New York City, Dubai, Hong Kong, and the carmaker's headquarters in France—before its unveiling. Not only did 40 of those folks sign up to buy the Divo at those events, Anscheidt said, they did so within 10 minutes of seeing the car. And pretty much all of those Divos will be parked alongside Chirons or Veyrons when they find their way into customers' garages come 2020. After all, for the sorts of folks who traffic in multi-million dollar supercars, machines like this are like Pokemon for the rest of us: They've gotta catch 'em all. Thought anyone who dares to actually take their Bugattis out and rail on them the way they were meant to be driven will certainly feel the difference between the company's latest models, the design director said. “[Chiron] is centered perfectly between an elegant beauty and a hell of a beast,” Anscheidt said. The Divo, he added, pushes the needle a bit further towards "beast."